Plenty of Sounds!!! I love it! 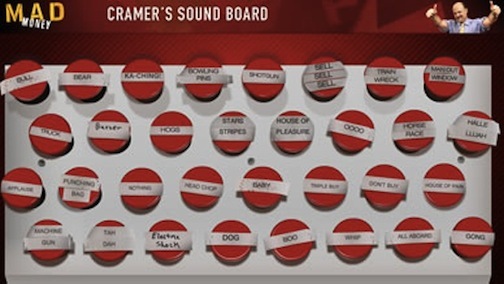 The below is called a soundboard! It is from a TV show in the USA called "Mad Money"
It has some interesting sounds. My favorite is Tah Dah!!! Click on the picture–and then click on a sound button!!! Lots of sounds around us! Pay attention to your world! I love that sound: Out loud, under your breath or in your head!